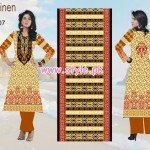 So, here is a season of winter is at our door step and we all are seem to be very busy in purchasing clothes, foot wears and accessories for our family, which are perfect for the cold atmosphere and also according to latest fashion trend.The most common fabric of this winter season are cotton, linen, karandi and khaddar.Like so many fashion designers and brands, here is Dawood Lawn is also back with Dawood Lawn Italian linen 2012 collection for women. 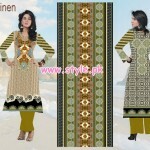 Dawood Lawn is not new in the field of fashion.It was established in year 1958 and since then they have launched so many collection for every season.Dawood Lawn offering trendy and stunning linen collection for the season of winter.This beautiful winter collection by Dawood Lawn 2012 has consists of simple yet elegant linen dresses.This collection has consists of long shirts with trousers and each dress of this collection has embellished with lovely prints on front and back.The color combination they used are marvelous.Dawood Lawn Italian Linen 2012 dresses are perfect for winter season but you can also wear them on upcoming event of Eid-Ul-Azha.This collection has designed for every type of age of women because their prints are literally sober. 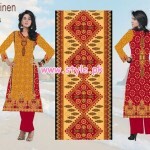 Just wait a bit here and have a look at this collection of winter by Dawood Lawn 2012 below..
Dawood Lawn Italian Linen 2012 Dresses For Women. 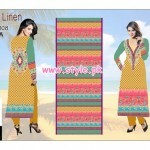 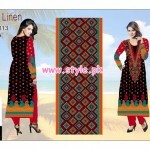 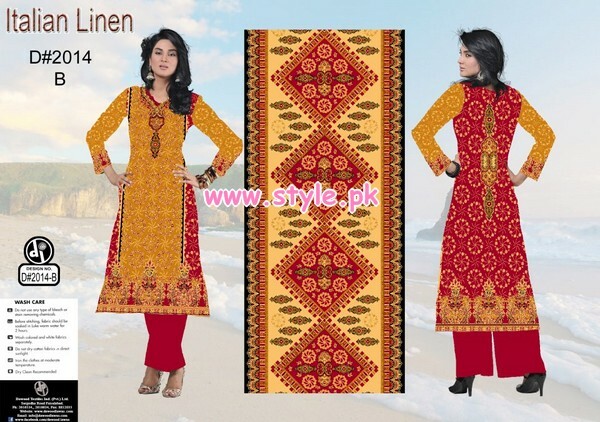 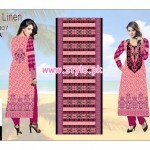 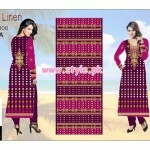 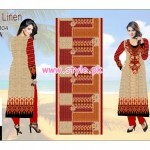 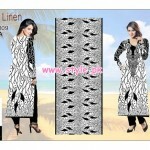 Dawood Lawn Latest Dresses 2012.